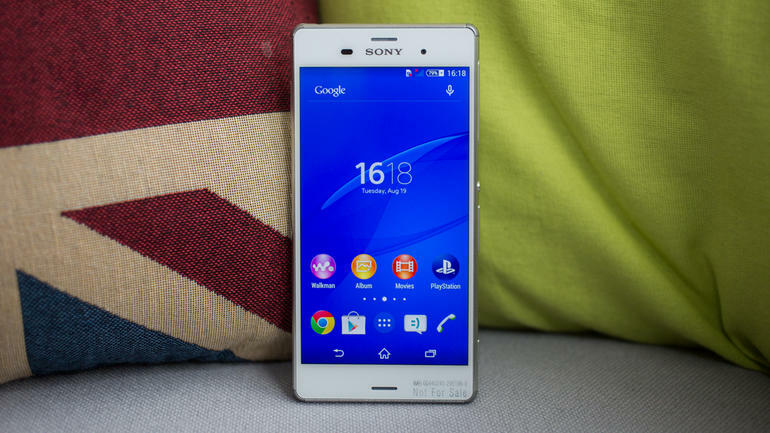 There’s been plenty of speculation surrounding Sony’s semesterly update to their flagship Xperia Z line. Some rumors are wildly different from each other and suggest radically different hardware. The next Xperia flagship has been rumored to have a 5.5 inch screen, but then also a 5.4 inch screen–and now they seem to be settling on a more traditional 5.2 inches. There’s also inconclusive speculation on chipset, with some claiming the device will use the Snapdragon 805 SoC, while the more optimistic rumors pointing towards the flagship-caliber Snapdragon 810. Now, we see a bigger debate–one that is perhaps more relevant than the others: Will this phone feature a Full HD display, or a Quad HD display? The debate between FHD vs QHD has been strong within mobile enthusiast communities. While many people want to get their hands on the latest and greatest of display technology, others argue that QHD is simply not worth the downsides and that FHD is more than enough. So what should we look for in our phones? Let’s find out. The first phone announced with a QHD screen was the Oppo Find 7, that sported a resolution of 3,686,400 pixels compressed on a 5.5 inch display – which makes for a huge 538 PPI pixel density. For comparison, most 5 inch phones of 2014 featured a 1080p resolution, which gave them a total PPI of 445, and the highest PPI of the 1080p phones was that of the HTC One M7, which had an impressive 469 PPI due to it’s modest 4.7 inch screen. And while some of the 2014 phones, in particular the M8, were praised for their beautiful screens despite being 1080p, obviously OEMs feel that consumers want more out of their handsets. The Oppo saw two variants, one with a QHD display and one, named Find 7a, with FHD. While they had different specifications other than the resolution (namely the processor inside), I personally think this is something we should see more of, but perhaps with identical processing packages. More on this later. On equal, standardized and ideal conditions, the answer is always going to be yes. Leaving out the other display factors, such as color reproduction, contrast, brightness, and other technical bits such as light-bleed and burn-in, having a QHD screen is better, if ever so slightly, than a FHD one. But the other factors do exist in the real world, so resolution shouldn’t be the go-to advertisement number like it is now, because a high-resolution display can have very poor calibrations, or look worse than it should due to artificial oversharpening… rings a bell? Apple introduced the “Retina” denomination for screens, touting it as the end-all magic number that would imply the point where an increase in PPI would yield high diminishing returns not noticeable by human vision – thus obviating the absolute necessity to pursue anything much higher than the appropriate configuration. When introducing the iPhone 4, Steve Jobs stated that about 300 PPI was sufficient for a device held 10 to 12 inches from one’s eye, This unit can be expressed as “pixels per degree” (PPD), which also takes into account the distance from which the device is viewed. The formula introduced for PPD is 2dr tan(0.5*), with d being the distance and r being the resolution in pixels per unit length. With the number 300 he mentioned, Retina starts at a value of 53 PPD, with the boundary stretching to 60 PPD. Let’s assume that what he said was not a marketing stunt (which it most probably was) – that would mean that the Oppo Find 7, or the LG G3, or any Quad HD 5.5 inch phone would feature a massive 94 PPD. Now, like all exaggerations made by these OEMs, who face the scrutiny of the millions of experts that hear these comments, we can assume Job’s “Retina” holds a certain degree of validity. After all, the iPhone 4 has a crisp screen, and every phone after that which exceeds the magic PPD does look pretty crisp to me. But you can always go crisper, and it’s not necessarily a bad thing. Given the linearly increasing nature of the equation for Retina, though, I’m not sure if an increase of 77.35% is really something that we should crazily strive for. But I digress, seeing that there is probably no real magic number for PPI, PPD or what-have-you that these OEMs might never truthfully and rightfully spit out at us; marketing will always have a big importance in it. LG for example, likes to say that 550 PPI is as far as you have to go to get people to squeeze detail out of an image… that’s remarkably close to their own pioneering LG G3’s 538 PPI, isn’t it? I do think that the Retina measurement is a step in the right direction as to figuring out a nice methodology for finding out these thresholds, though, as viewing distance is a very big factor that simple PPI as a scalar unit doesn’t take into account. This is evident when you have a very nice TV that you see from afar and the vivid image surprises you – yet the closer you get to the edge of its glass, the more the image starts diffusing into little lightbulbs. People with 20/20 vision can discern the detail of 1 arc minute, or the sixtieth part of a degree. This would be equal to discerning the detail present in 0.00462% of a circle. That’s as good as you can get. I personally have bad vision (I blame it on being a tech enthusiast) and this number blows my mind. Could 60 truly be the magic number? Something is certain, though. If you give Apple any credit for Retina, you must agree that these phones seem to beat that magic number of 53 PPD, and match the upper boundary of 60, at the distances measured by Phone Arena. And these distances, for all resolutions, are lower than the proposed 12 inch distance proposed by Apple. These measurements also mean that unless you hold the G3 this close (pictured) to your face, you won’t start to see the pixels, no matter how good your vision is presumed to be. But this is on a more theoretical side. So this 60 upper bound for Retina (300 PPI at 10-12 inches) and the values calculated by Phone Arena are seemingly based on the arc-minute measurement of detail perception on humans. But there’s more to vision than that. According to a report by the Air Force Research laboratory, humans are able to discern the separation of two lines at around a half arcminute, which translates to 120 PPD. The ideal resolution of the eye is about 0.4 arcminutes – an even bigger result at 150 PPD. But if you think that’s reasonably achievable right now, there’s one more thing: the human vision is able to determine the allignment of two lines to a resolution of two arcseconds, or… 1800 PPD… Seemingly unattainable with current technology. So all of this seems to imply that, while we might have very nice looking screens, there’s a lot more ground to cover in the PPI race than just accounting for the immediately noticeable detail. Alright, so we can argue for both sides of the PPI race. On one side, we constantly hit milestones with this Retina PPD, or the “magazine print” PPI, and there’s still more to cover. But on another note, there are technical constraints to the use of 1440p panels in phones. In short, we do notice that there are some things left to cover when it comes to arriving to that perfect, absolute pristine realer-than-life image that OEMs would love to advertise one day. We are hitting some nice milestones, and in technology there’s never a decisive reason to stop improving, especially if that would be mere consumer conformism. But let’s look at the market right now: I remember CES 2013, and CES 2014 even, proudly displaying the 4K TV’s that are now arriving at our homes in great numbers. This year, we saw a lot of 8K TVs being showcased by many of the big fish in the display industry. Now let’s look at phones. In 2012 we saw 720p phones, then in 2013 we were already at 1080p, and shortly after 2014 started we already had the Find 7 being touted as the next big thing. And now we are expecting the first 4K phone to come out this year – resolution higher than most people’s TV’s, in a screen under 6 inches. Analyzing whether battery life and performance, and even things like heat (let’s remember the G3 again), can keep up with these increases is a topic we’ll reserve for another, more in-depth article, but we can safely say that there have been tangible consequences with adopting these new technologies for now. Battery technology in particular hasn’t been able to keep up with the display race, and software optimization can only get you so far. A neat case of what seems to be “1440p done right” is the Note 4, which has a really power efficient display despite all the extra LEDs it has to power up. Whether the chips that are coming out can support these new resolutions efficiently still has to be decided, we know for a fact that the stress of such leaps in pixel count can be quite taxing on mobile GPUs. I personally think that the display is one of the most important parts of a phone, as I see it as the hardware’s interface for the software’s interface. And this also implies a degree of symbiosis between them, as the GUI, which everyone knows is a huge part of software nowadays, is directly dependent on the possibilities offered by the fidelity of the display. And consequentially, so is the user experience. You wouldn’t find much use for Material Design on a gameboy’s screen, after all. And when I first saw the Note 4’s display, I was in absolute awe. I do think that 1440p does make a difference, albeit a much smaller one than 1080p did to 720p. It could be the previously mentioned diminishing returns threshold in action. Despite this – do I think that we need 1440p now? Not really, not until the rest of the technology can accommodate for it efficiently. I am fine with 1080p. I don’t need a 1440p phone, what will do? Well, rumors are now talking about this Z4 phone again, saying that Sony will offer both a FHD and QHD version. While these are just rumors, I think it could make for a very nice trend for consumers. More choice in the mobile world isn’t a bad thing (and it’s even become Android’s slogan, so why not?). Do you want that pristine 1440p image on your phone? Or would you rather have better battery life and performance (like the Z3 and Z3 compact did by sticking with lower-than-standard* resolutions) by conforming to the already-great resolution of the previous year, model, or segment? It’s definitely an interesting proposal, and I hope it gets noticed and adopted so that OEMs can address the demand for better battery life that the newer resolutions seem to directly plot against. *standard: These change. 1080 is fantastic, but the “standard” for flagships is now at a weird stage between 1080p and 1440p, and I suspect it’ll only rise from here. So I am definitely not saying that FHD is bad, because it is not. But as technology advances, so does what is standardly provided.